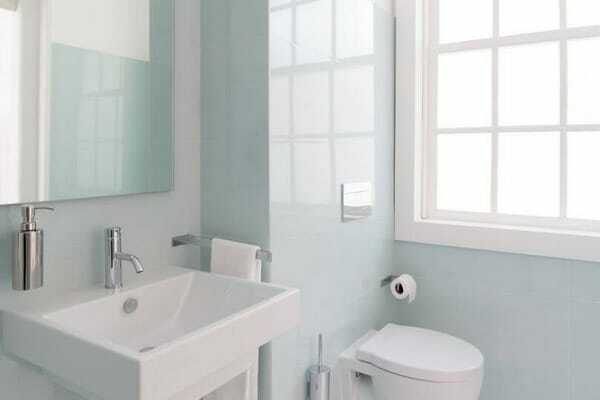 Bathroom – often the smallest room in the house. Despite this, it performs important and even in some way indispensable functions. 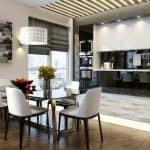 After all, you can imagine an apartment without a dining room or even a bedroom. 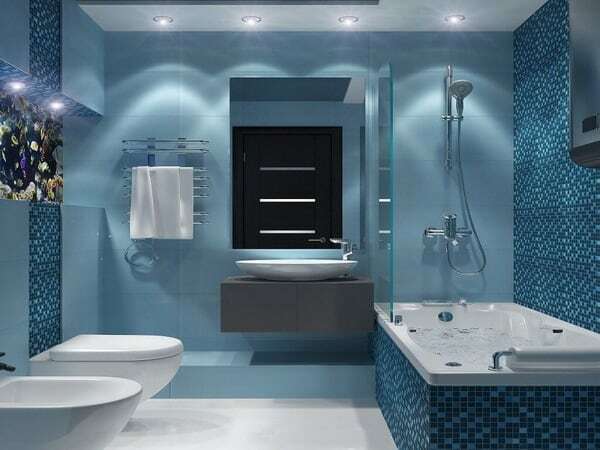 As for the bathroom, it is a mandatory component of any residential building. Of course, a small footage of the room does not completely roam the design fantasy. 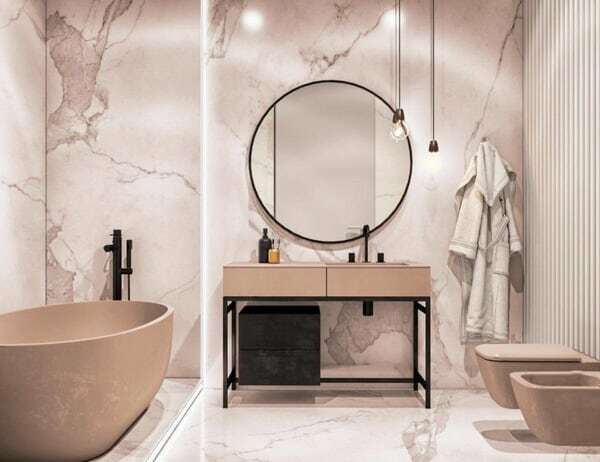 However, with the right approach, you can easily create not only practical, but also spectacular bathroom design, in which all elements of the room harmoniously combine. 0.3.3 Which ceiling is better to do in the bathroom? The bathroom is the place where every new day begins and ends. And you must admit that it is much more pleasant to equip a room so that it can resemble a cozy and atmospheric spa. Then you can relax and enjoy a bubble bath or a contrast shower. 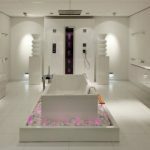 A few decades ago, the traditional bathroom design consisted of three important elements – a bath (or shower ), a sink and a toilet (if the bathroom was not separated from the bath). However, today everything has changed a little – now a bidet, hydrobox, washing machine (sometimes with a dryer) or even a home sauna are installed in the bathroom. This is explained by the fact that in new buildings, as a rule, the premises have a larger area than in the “Khrushchev”, and designers, as a result, have more space for the realization of any, even the most daring and non-standard ideas. The bathroom is primarily a practical place, the layout of which is thought out to the smallest detail. All plumbing and furniture should not impede the movement of the room. Even if your bathroom has a relatively large area, do not neglect the methods of increasing space visually. Add more mirrors, transparent and glass elements to the room. Plumbing, of course, must first perform a practical function. However, take a look at the new, current models of 2020 – today you can find quite non-standard (in color or shape) options on store shelves. The stylish bathroom today is a room with multi-level lighting, which is a highlight of the interior and helps to visually enlarge the space. Any decorative elements must also perform a practical function. Leave statues and picture frames for your living room or bedroom. White bathroom. The classic version that can visually expand the space and add a little light to it. Noble color, which is relevant for large spaces. 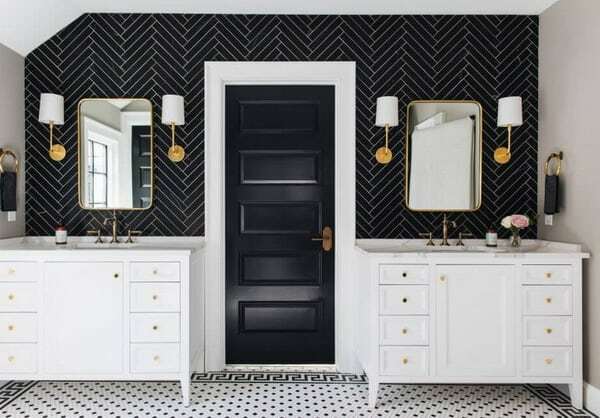 A bold and original solution for the bathroom. Such a shade will undoubtedly give vigor and energy. Yellow and orange. It improves mood and allows you to recharge your batteries for the whole day. Differs in a huge variety of shades. It can be chocolate, wenge, brick, terracotta and other colors. 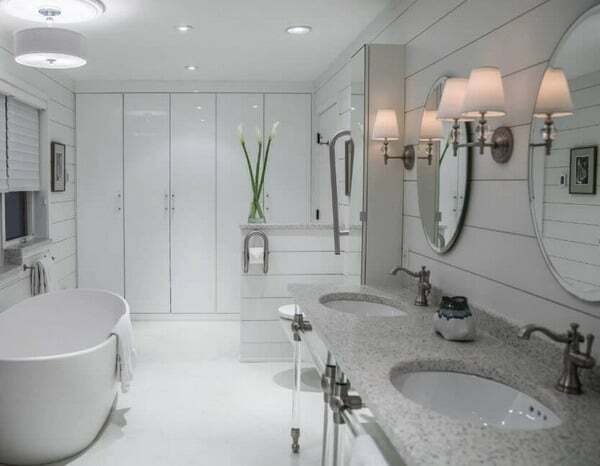 A soothing color that is suitable for a nautical-style bathroom design. 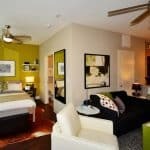 When making any room in a house or apartment, an important step is the process of selecting materials for interior decoration. And the bathroom is no exception. In view of the fact that there is a risk of increased humidity and the formation of condensate, the selection of finishing materials should be approached with special care. Only in this way you can get not just beautiful, but also a durable result that will delight you for decades. Despite the fact that the bathroom is characterized by high humidity, materials for its decoration, there is a huge amount. This is primarily due to the fact that many manufacturers today are trying to make their products universal for each room of the house. Tip: To remove even a little moisture, set up good ventilation (natural and artificial) in the bathroom. Thus, you can significantly increase the life of all finishing materials. Ceramic tile.The most popular option which differs in the wide range of shades and forms (square, rectangular, polygonal, etc. )Resistant to moisture, temperature extremes and mechanical damage. If properly installed, it can serve for more than 30 years. The main drawback of the material is the complexity of its installation. To do this, you will have to take the help of a professional who will carry out all measurements, tile installation, grouting, etc. PVC panels. 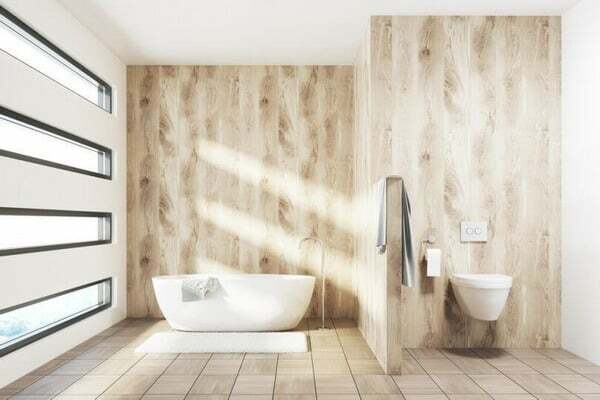 Today, on the shelves of stores you can find both plain PVC panels and more original options that will be able to decorate the interior of the bathroom in 2020. Some models imitate wood, brickwork, marble or even leather. The main feature of such panels is the simplicity of their installation, which can be handled without the help of professionals. The main thing – to properly implement all the necessary measurements. Natural wood. 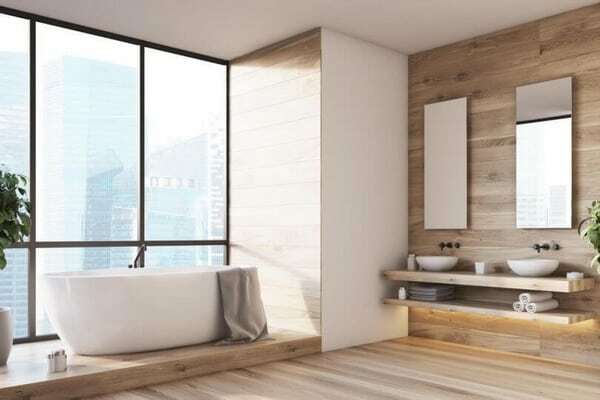 Think wood is not suitable for a bathroom? It’s not like that at all. Modern processing methods allow the use of this material in the decoration of walls, even in rooms with high humidity. As a rule, special impregnations and protective varnishes are used for this. It will be important to choose the right wood type. Beech, cedar, larch, oak, teak, etc. are great for the bathroom. Metal. It can be used as a standalone material, but is most often installed in combination with wood or stone. For the design of the bathroom choose metal sheets coated with zinc or chrome. 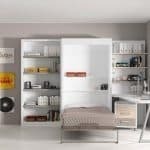 In addition to a long service life, this finish meets all fire safety requirements (metal is a non-combustible material). Important! Before you apply the paint, it is necessary to maximize the base of the wall. Otherwise, you will emphasize all the defects on the surface, and the repair itself will not be very durable. Plaster. Decorative plaster has an attractive appearance (which is worth Venetian plaster for walls) and a long service life. The disadvantages of the material include perhaps its high cost and complex installation. 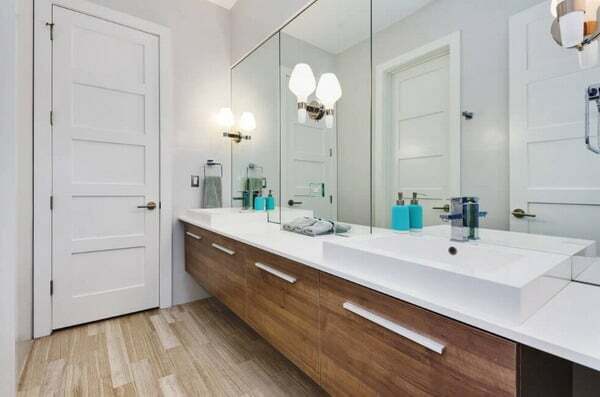 As the flooring for the bathroom is most often used porcelain. Such ceramic tiles are made in such a way that, during the production process, its wear resistance and durability increase significantly. Wide range of various shades. You can choose a floor covering to match the walls. Or play on the contrast and set, for example, a dark floor under the light walls. Anti-slip effect. The surface of the porcelain stoneware is not smooth, thus avoiding injury when walking on wet floors. Water resistance. 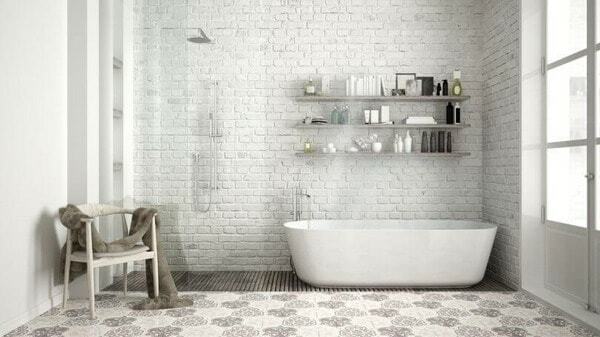 A property that is needed by any bathroom flooring. 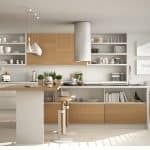 Stoneware does not deteriorate under the action of moisture and is able to withstand large amounts of water (which is especially useful in the case of flooding the room). Waterproof laminate. Provides reliable protection against water. The cost of such a laminate will be much more expensive, but it can last for more than 20 years even in a room with high humidity. Important! Do not confuse moisture-proof and waterproof laminate! The first type is suitable mainly for the kitchen and spoils from a large amount of water. Waterproof models (marked with a special icon) can even survive a flood in an apartment. Processed wood. 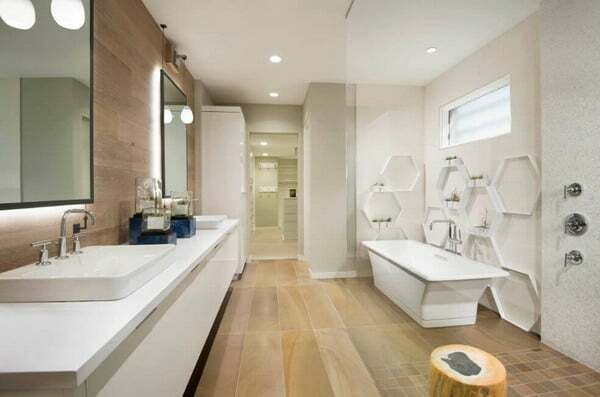 For lovers of natural and environmentally friendly coatings natural wood will be an ideal floor option for the bathroom. Most often for this purpose choose a larch or a tic. Remember that in order for the floor to last as long as possible, it must be treated with a special impregnation and several layers of varnish. Bulk floor. A floor covering that is fast water resistant and easy to install. To the touch it resembles ceramic tiles. Due to the absence of seams it is possible to completely avoid the ingress of water under the coating. A high degree of adhesion allows the self-leveling floor to bond with the base. The most budget of all options for the design of the floor in the bathroom. Also features easy installation and maintenance. The only thing that is important to monitor when laying linoleum – reliable sealing seams. We recommend laying the roll in one layer to avoid moisture getting under the base. Which ceiling is better to do in the bathroom? Putty and painting. The most common methods of finishing. 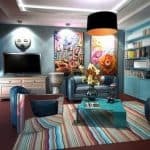 Gained popularity due to affordable cost and ease of application of the material (you can arrange the ceiling without the help of experts) Hard putty and painting do not differ in special durability, however at the correct drawing can serve about 10 years. Important! Note that all materials (and they include paint, primer, putty) must be waterproof. Plastic PVC panels. This is a versatile material that is easy to install and maintain. However, it is recommended to install them as a ceiling in the bathroom only if you have a well-established ventilation system. The thing is that there are joints between the panels where dirt and moisture can clog. Rack ceiling. For such a ceiling use special slats. Such a frame is made, as a rule, from aluminum, plastic or steel. For the bathroom is better to choose metal slats, which are not amenable to moisture. Since the rack ceiling is going to be like a designer, you can mount it yourself. Mounted on a wooden or metal (which is more suitable for a bathroom) frame. When buying material, pay attention to the mark “GKLV”, which means that this drywall sheet is water resistant. 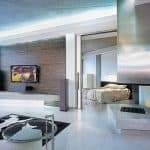 This method of space design allows you to create original multi-level ceilings with built-in lights in the frame. The mirror. It is often used in the bathroom due to the fact that such a ceiling is able to visually increase the space. Small mirror plates are fixed on a metal frame, resembling a large mosaic. The only significant disadvantage of mirrored ceilings – the complexity of the care. They must be constantly wiped and polished to a shine. Today, you can choose both classic plumbing models and more original versions of non-standard shapes and sizes. The main thing is to make all the necessary measurements before buying. 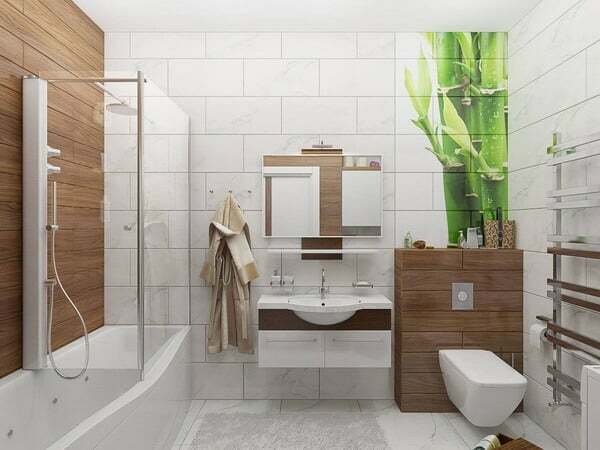 So you can be sure that the sink or bathtub will fit exactly into the design of the bathroom. Choosing non-standard options for plumbing, it is important not to overdo it. We do not recommend installing both a sink, a toilet, and a bath of original colors and designs. In such a room, emphasis should be placed on one of the largest elements, which, as a rule, is a bath. Today you can find it in a wide variety of versions – in the form of a hammock or a boat, in the form of circles or even a square, etc.). In some interiors (especially in the style of classic or Provence) fit bath, made “antique” with elegant taps and high legs. In addition to forms, you can also experiment with coloring products, choosing, for example, a red sink or a black toilet bowl. The most common storage material is specially treated wood. Thanks to its noble appearance, it can fit into any bathroom design. The use of several spotlights located around the perimeter of the bathroom. Installation of one pendant lamp and several additional light sources (for example, near a mirror or in a shower cabin). Please note that the right lighting fixtures can become a highlight of the bathroom interior. However, do not forget that in the bathroom all the lamps need additional protection from moisture. Creating and designing a bathroom is a process, albeit a painstaking but very entertaining. Do not be afraid to go beyond and try new innovative ideas. So you can get a design that accurately reflects your character and can please you as long as possible.